The sporty, exciting new Swift Sport is the highlight of the Suzuki line up at the 64th International Motor Show (IAA) in Frankfurt. The Swift Sport is the performance flagship of the Swift model range and offers higher levels of tuning, steering and braking performance than the standard Swift on which it’s based. The previous model first went into production in Japan in 2005 and in Hungary in 2006. The sporting experience and everyday practicality have earned many devoted fans in approximately 40 countries and territories around the world. The new Swift Sport has the same DNA as its predecessor, but reflects the concept of developing a refined sport compact from the new Swift that Suzuki launched in the UK last Autumn. Befitting its status as the new performance flagship of the Swift model range, it reflects the pursuit of even better handling, driving performance, environmental compatibility and an uncompromising focus on quality. 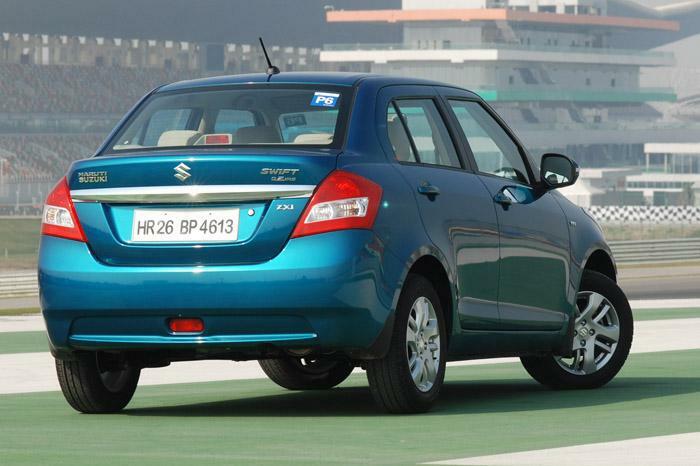 Overall, it offers a rewarding experience of Suzuki’s sporting DNA. Suzuki plans to launch the new Swift Sport in a growing number of countries, beginning this October, with sales launch in the UK from early next year. 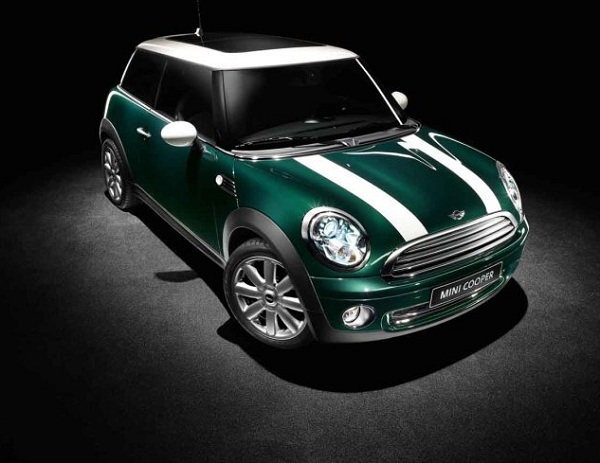 The new Swift Sport’s exterior design reflects the model’s evolution towards a more sporting look. The ground-hugging form gives a sense of stability, the large front grille hints at the performance within and is flanked by big, distinctive finned fog lamp bezels that add even more sporting character. Aerodynamic parts exclusive to the new Swift Sport control the airflow, suppress lift and give the car a lower visual centre of gravity. Newly developed high-intensity discharge headlamps with a metallic-grey coating as well as new design rear combination lamps heighten the sense of dynamism expressed by the exterior design. Sporty, exclusive design features in the new Swift Sport’s cabin heighten the driving pleasure and a high-quality look and feel generates pleasure of ownership with new design sport seats in an exclusive fabric together with a five-dial meter cluster that combines easy legibility with an uncluttered look. The new Swift Sport’s strong presence belies compact dimensions that make it exceptionally nimble. Wide treads and a short wheelbase (key characteristics of the Swift series) combine with chassis systems that include an exclusively designed rear suspension to ensure brisk handling and outstanding high-speed stability. The new Swift Sport has an overall length of 3,890mm, an overall width of 1,695mm, an overall height of 1,510mm, and a wheelbase of 2,430mm. 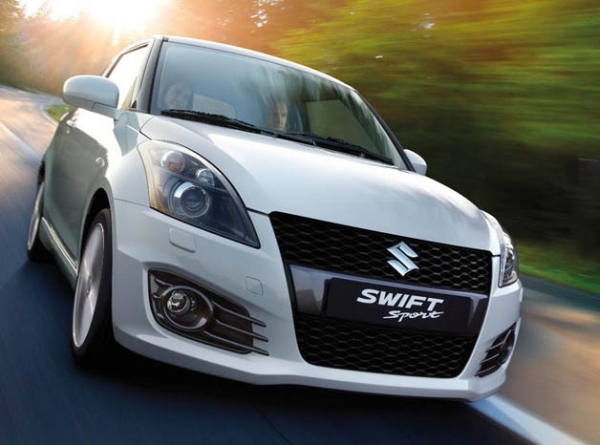 Since the new Swift Sport is the performance flagship of the Swift series, Suzuki pursued higher levels of chassis performance, achieving an exceptional balance of controllability and stability. The new Swift Sport’s M16A engine is based on that of the previous model. Thanks to the addition of a variable intake system, optimisation of the intake VVT and increased valve lift, maximum output is up from 92kW in the previous Swift Sport to an impressive 100kW with the new model. Maximum torque is up from 148Nm to 160Nm. As a result, the driver can enjoy superb performance across the rev range. The engine’s high output is combined with improved fuel economy; CO2 emissions are down around 11 per cent from 165g/km to 147g/km and a revised exhaust system yields a sportier note. *The fuel consumption and CO2 emissions shown above are combined figures based on the new Swift Sport (Euro 5 standard formula for a vehicle with two-wheel drive and a six-speed manual transmission) and previous Swift Sport (Euro 4 standard formula for a vehicle with two-wheel drive and a five-speed manual transmission). The new Swift Sport’s manual transmission was developed specifically to take full advantage of the M16A engine’s performance. The use of six gears (up from five in the previous Swift Sport) allows sporty driving combined with fuel economy. A triple-cone synchromesh for first and second gears permits lower shift effort and a larger counterweight at the transmission end of the shift lever yields a sporty shift action that is now lighter and more positive. Exclusive 17-inch aluminium-alloy wheels are standard on the new Swift Sport. They have a sharp, exquisite design and are produced in such a way that they are each about 1kg lighter than those of the previous Swift Sport. The tyre sizes are 195/45R17 and have been developed specifically for the new Swift Sport. The new Swift Sport represents an evolution in terms of safety. Comprehensive safety technologies mean it offers the same control and peace of mind as the new Swift, which earned a five-star rating in the European New Car Assessment Programme. Extensive use of high-tensile steel and computerised structural analysis keep the body light while promoting safety, There are seven airbags (including curtain airbags and a driver’s knee airbag), and the pillars incorporate shock-absorbing materials that soften any contact with occupants’ heads. 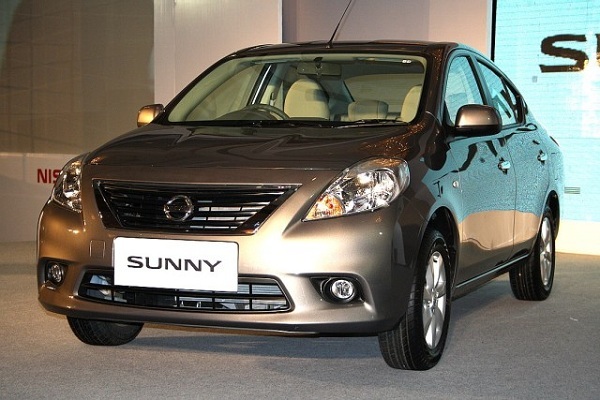 Suzuki took a multifaceted approach to achieve higher levels of active safety. As a result, ESP®* and an antilock braking system with electronic braking-force distribution are standard equipment.